At 24, Tim Hwang, co-founder and CEO of FiscalNote, has organized a grassroots charitable organization; volunteered extensively with Barack Obama’s presidential campaign, and served on the board of Montgomery County Public Schools at a particularly litigious time. He has cracked the entrepreneurial code. Please enjoy the longer read just published at StartupGrind.com, the global entrepreneurship community — front page! 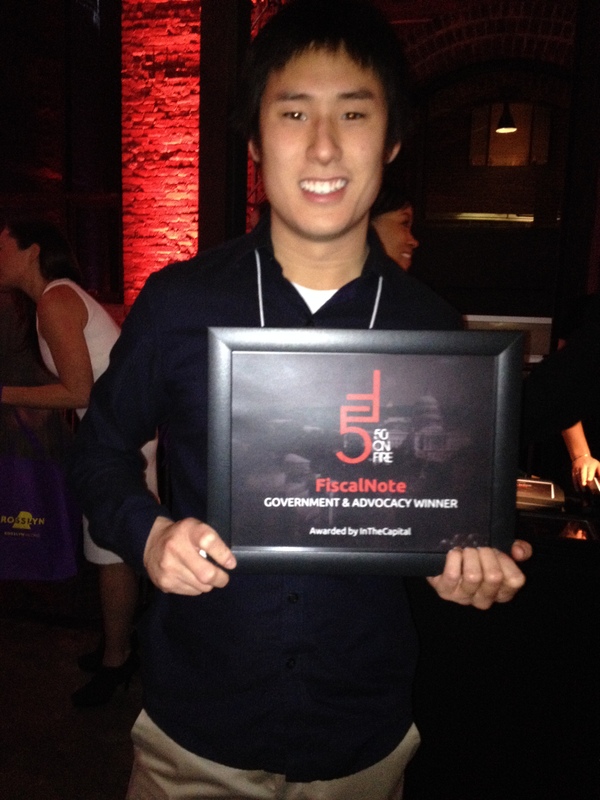 FiscalNote Inc, formed March 2013, first appeared in this blog early in 2014, after I bumped into CTO, Jonathan Chen and his co-founders CEO Tim Hwang, and Gerald Yao, CSO coming out of a photo booth at In the Capital’s (now DCInno) 50 on Fire. They were on fire. They still are. The childhood friends from Montgomery County, MD, near Rockville, set out to make the legislation process transparent. They’re succeeding. 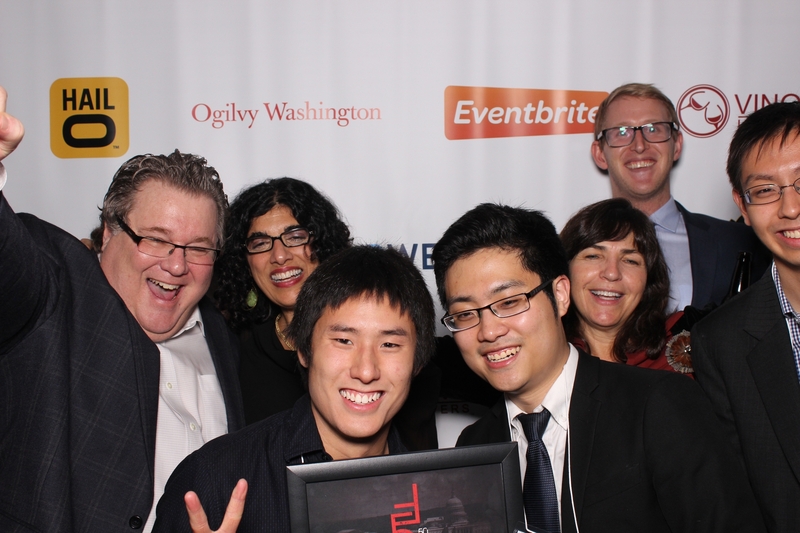 FiscalNote co-founders: Front left, Jonathan Chen, CTO; front right, Tim Hwang, CEO; and Gerald Yao, CSO in the photo booth with some lovable, sketchy characters at the first 50 on Fire. In the past few years, their platform has moved rapidly towards the goal to enable anyone to keep track of legislation that could affect their organization. They are refining a next-generation legal software platform with some help from tech friends who had worked at NASA, Sprint and other organizations. It lets users track and predict pass/fail outcomes with up to 94% accuracy legislation at any given moment. It’s a road map for where to focus time and money. Jonathan is so happy to be part of the company he helped launch while a member of the Hinman CEO program at the University of Maryland. MTech supported the team with $5,000 Citrin Impact Seed Fund grant during its earliest stages. At his suggestion his co-founders entered the University of Maryland Department of Computer Science’s first annual FISH Bowl competition. [I included FiscalNote in a 2014 post with owner, Washington Capitals team, American Online alum, and entrepreneur: Ted Leonsis.] The trio won second place (primarily because they had no prototype) and were encouraged to apply to the Plug and Play Startup Camp for 10 weeks in Silicon Valley, where they got in and traveled to work on one. They started with about 60-80 cold calls to survey their potential customers. Their $1.2 million seed funding was led by serial entrepreneur, investor, and owner of the Dallas Mavericks, Mark Cuban. Tim had sent him a 5-line email to which he had responded in 40 minutes with a list of questions. (According to Jonathan, with some prompting from a lawyer they both knew.) The team was perfectly positioned for what happened next as they participated in the 10 week Silicon Valley program, living and working in a Motel 6 with two beds and a cot because other available housing was too expensive. The team jumped on it, abandoning movie tickets purchased for Wolverine, and working around the weekend to answer the questions and close a deal. Joining Mark Cuban in the first investment round was Yahoo co-founder, Jerry Yang, now with AME Ventures, First Round Capital’s Dorm Room Funk, and the world’s largest venture capital firm, NEA. Recently, China’s RenRen followed with $10 million. Tim chat with a packed house at Startup Grind DC and I will include a link to a more detailed story by me highlighting Tim’s interesting background when it is published on StartupGrind.com. The photo of Jonathan below took place in the winter before he would graduate from the University of Maryland. See his graduation speech in this post. 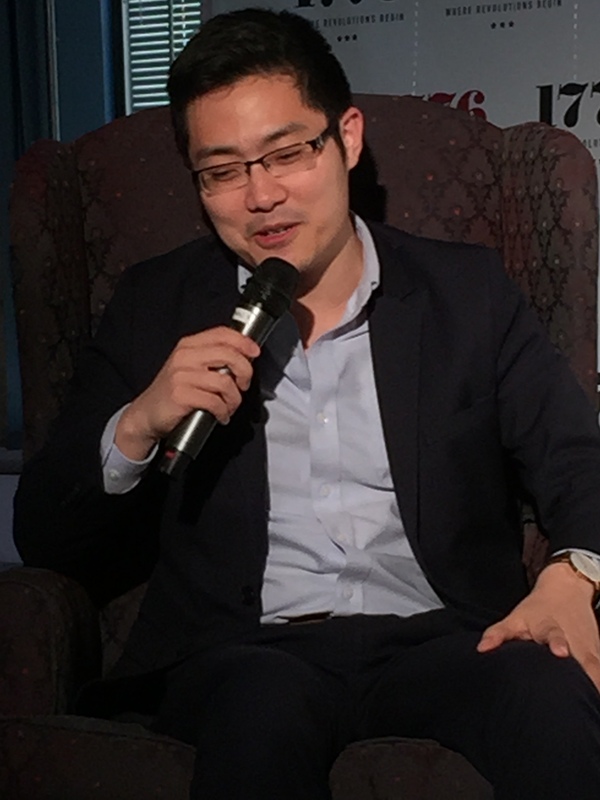 Jonathan Chen, CTO, FiscalNote learned the most computer science from his high school summer tech internship in China with a government owned organization. 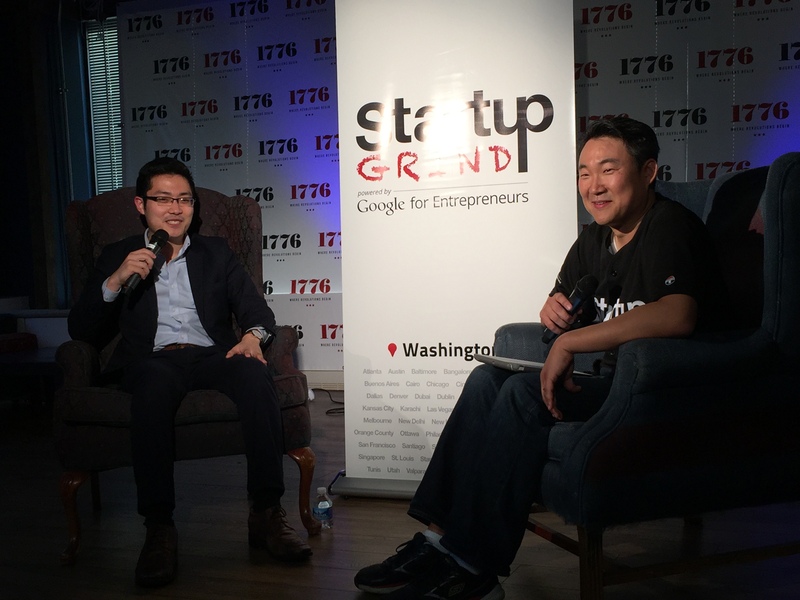 Tim Hwang (left), co-founder and CEO, FiscalNote comes directly from an all day retreat to join StartupGrind DC’s organizer, Brian Park. This entry was posted in Uncategorized and tagged FiscalNote, legal software, Mark Cuban, MTech, Ted Leonsis, University of Maryland, venture capital. Bookmark the permalink.